No matter what brings you to the New York's northernmost borough - whether it's the legendary Yankee Stadium, expansive Bronx Zoo, or a class at one of the many institutions in the area such as Fordham University - ETS Airport Shuttle is the most reliable and cost-effective way to travel to the Bronx, Parkchester, Co-Op City, or beyond. Our Bronx car services are the best way to travel in the city. Getting from the Bronx to nearby LaGuardia airport can be stressful and time-consuming. Traffic, parking, and directions can be overwhelming for even the most experienced New York driver. Why deal with all the hassle when you can book a ride with our Bronx car service with the click of a button? Simply visit our reservations page, pick your date and time, and within a few minutes all your problems will be solved. We're ready with an airport shuttle when you are! 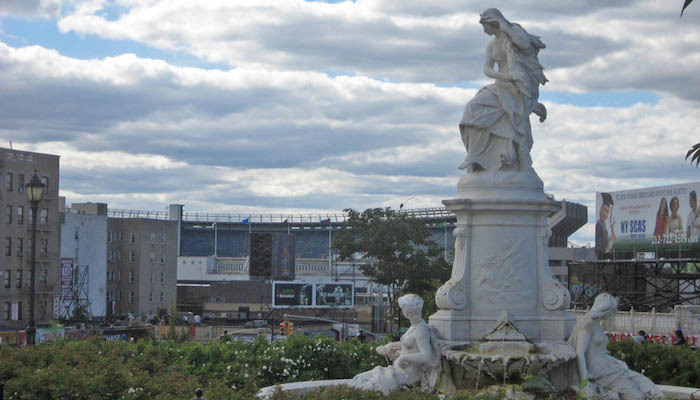 Whether you're visiting City Island, New York Botanical Garden, Pelham Bay Park, Little Italy in the Bronx, or Yankee Stadium, or ETS Airport Shuttle is here to help with your Bronx transportation. Or plan a trip to Central Park, Empire State Building, or throughout New York City with ETS. ETS provides more than just airport shuttles in the Bronx. We offer a variety of charter car services in New York including sporting event & concern car services, wedding transportation, and executive transportation in the Bronx. Reserve a Bronx shuttle or car service for your next group outing. Ready to book an airport shuttle ride? Visit our reservation portal to get started. Reserve a LaGuardia airport shuttles and more to the Bronx with ETS.